If you're going to revisit a certain underwater dystopia, you might as well have a ball. 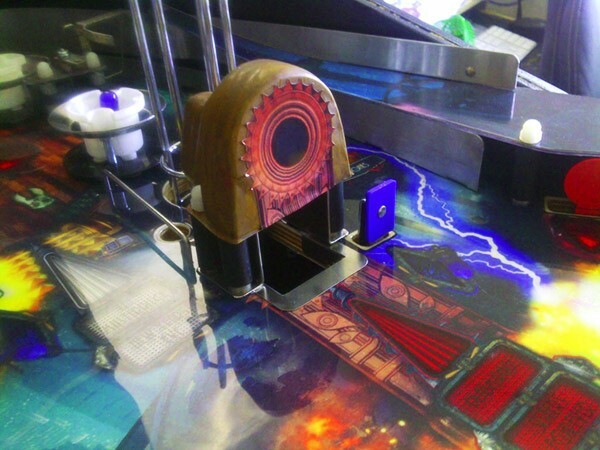 At least that's the approach being taken by Sweden-based DIYer rasmadrak, who has decided to build a Bioshock-themed custom pinball machine just for kicks. The project is filled with lots of neat little touches from Rapture, including Little Sister vents and a few Big Daddy homages. The builder also does a pretty good job of drilling into the details and providing insight on the creation process -- like the challenge in using two different systems such as Arduino and chipKIT together, for example -- via detailed posts in the Poor Man's Pinball! blog. The project proved to be a pleasant shock to the system for fellow pinball aficionado Ben Heck, who gave the project a sprinkling of Heckendorn love via Twitter. Pinball geeks can also follow the saga, so to speak, by checking out the source link below. Bioshock custom rig is Big Daddy of pinball machines, gives players a taste of Rapture originally appeared on Engadget on Sun, 19 Aug 2012 23:17:00 EST. Please see our terms for use of feeds.